Photo courtesy of Vamizi Island. Burning sands, epic sunsets, majestic mountain slopes — there are a million ways to fall in love with Africa. Start with this list of romantic hotel destinations. What's to Love: An over-the-top 1940s-style safari camp set in a palm grove. 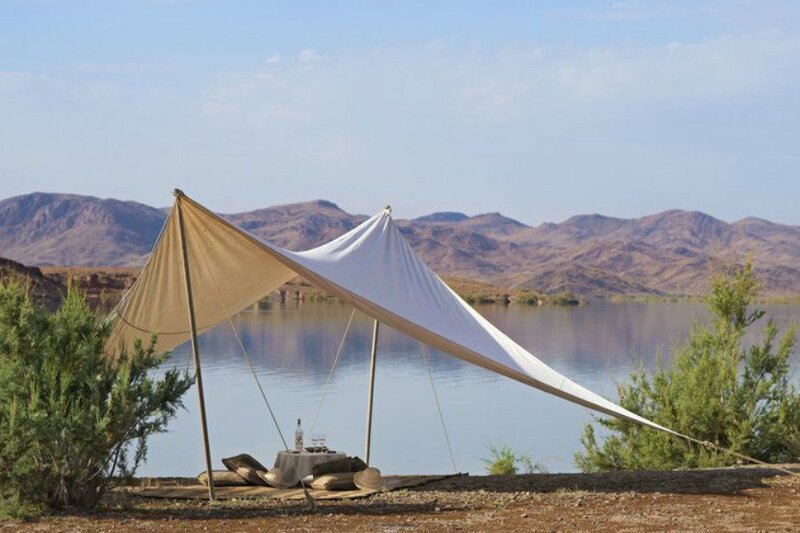 Explore archeological sites on quad bikes, then regroup at the lavish tea tent. It's pricey. But the service details are incredibly special (i.e. : tours are led by a group of passionate academics, anthropologists, and bushmen). 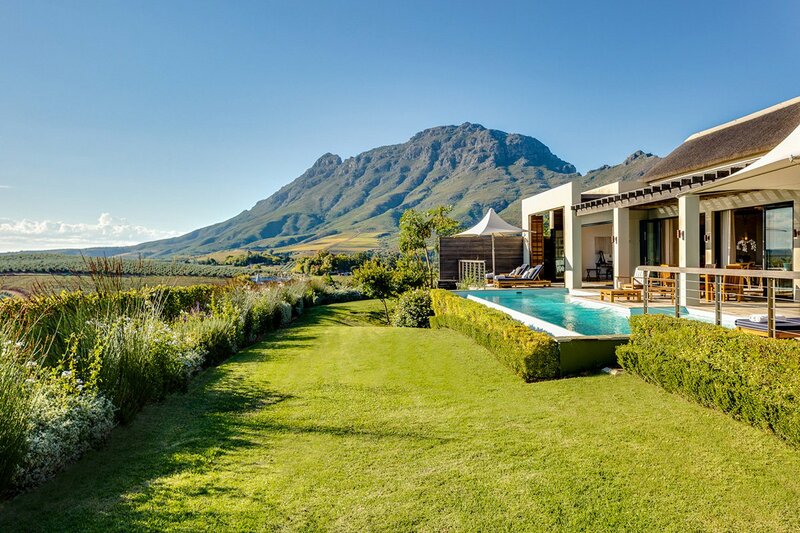 What's to Love: A true camp experience — al fresco showers, outdoor beds for afternoon naps, dining under the stars — upgraded with massages, plunge pools, and refreshing Stellenbosch between game drives. It's best to visit in March or early spring for the best weather and Big Game sightings. What's to love: Channel your inner primate in the largely unexplored Odzala-Kokoua rainforest in the Congo. Choose between two lodges — Lango on the edge of the savanna or Ngaga deep in the Marantaceae forest. The treetop suites at Ngaga Camp are raised about ten feet above the ground, giving you the same perspective as the 20,000 resident gorillas at your doorstep. What's to Love: Spacious and secluded suites have private heated swimming pools, walled gardens, and 48 acres of white sand beach. Do not miss scuba diving in the Gulf of Aqaba. What's to Love: Staying at the ten-suite safari estate is like stepping into an old Colonial fairy tale, where resident Rothschild giraffes reach through windows and rouse you with loving licks at sunrise and join you for supper at sunset. What's to Love: You're the king of the jungle in a wildlife conservancy, gazing down on hungry hippos, grazing zebras, and howling hyenas from your 120-feet high perch at the top of Dodo's Tower. Invite the couples you love to swing with: The beautiful, European-antique filled suite can accommodate three couples. What's to Love: It's exclusive and intimate. Take a scenic helicopter flight into the Maasai Mara at dawn from the hotel's private helipad. After an exhilarating flight into the reserve, take the rare opportunity to float over the million-strong wildebeest and zebra migration in a hot air balloon, followed by breakfast in a remote part of the Maasai Mara. What's to Love: The boutique tented camp overlooks the flowing Mara River (perfect for hippo watching). There's a wonderful spa and pool to refresh after game tracking. Hot water bottles are placed in your four-poster bed at night along with bedtime stories. Book tent 14 or 15 for ultra luxury. Request Joseph as a guide (though all are amazing). Have a sun-downer on the escarpment where the movie Out of Africa was filmed. Get married amongst the Maasai. Plant a tree on the property and leave something behind to grow. What's to Love: Beautifully decorated private villas with fireplaces and outdoor bathtubs in your own private garden. This is a great place for romance but an awful place for business. There is no internet in the rooms. What's to Love: 27 suites and nine luxurious Berber-style tents filled with Moroccan antiques in the mountains an hour outside Marrakech. This is Sir Richard Branson's retreat, the one he discovered while ballooning in the area. Try to tear yourself away from your room to explore the Atlas Mountains on one of their mules and to visit nearby village Asni for the weekly Saturday market. What's to Love: An ultimate one-time romantic getaway. Many rooms have open moucharabieh woodwork onto the courtyard, ask for a room on the top floor. The rooftop pool overlooks the smashing sea. Plenty of private corners in which to snuggle. The best table in town is in the hotel restaurant, ask to be seated in front of the fireplace. What's to Love: A gorgeous 2009 renovation caters to your design fetish. 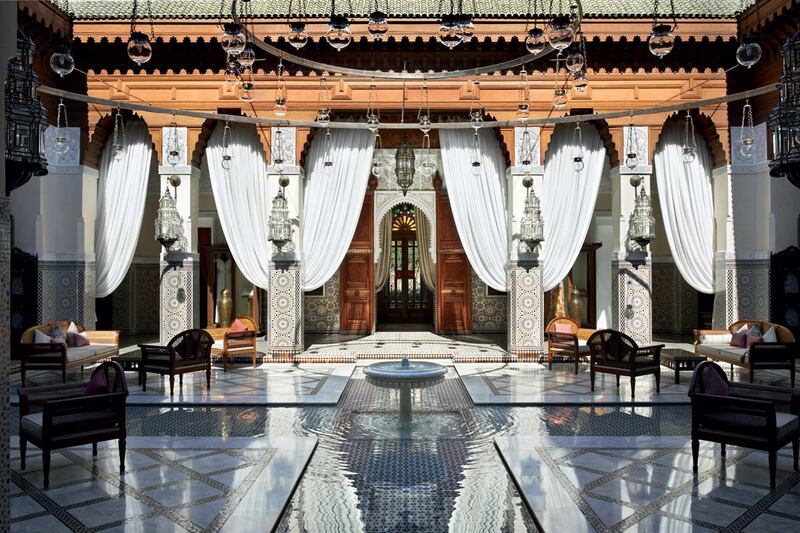 You'll find Moorish and Deco glamour, lush gardens, a marble mosaic hammam, and gleaming Jaguars in the driveway. The Baldaquin Suite is particularly stunning. Two of their four restaurants are led by Michelin-star chefs. What's to Love: A French-owned hotel with ocean views and balconies that back up to the city's ancient sea walls. Cross your fingers for a power outage, because the fishing village is even lovelier by candlelight. For the breeziest breakfast, order from the roof terrace. What's to Love: Vanessa Branson's (yes, one of those Bransons) charming contemporary boutique hotel has three courtyards, swimming pools, mint tea and cake every afternoon, and an excellent hammam near bustling Djemaa el-Fna square. 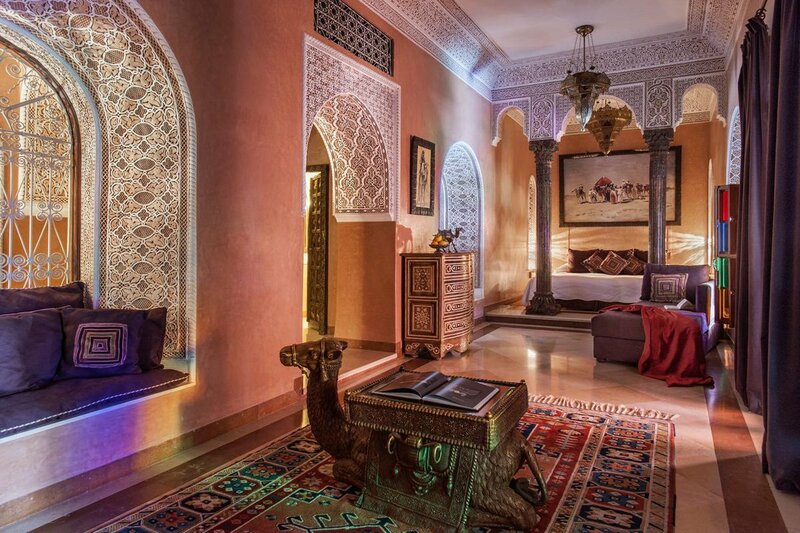 Riad Vanessa is the especially lovely and private suite to book. If you fall for the brightly striped Turkish cotton towels by the pool, you can pick some up at Atelier Moro (114 Place de Mouassine; +11-212-24-39-16-78), along with other non-touristy souvenirs. What's to Love: The scent of jasmine wafts through the air at the beautiful oasis within the historic city walls. Nest in your very own riad, complete with intricate plasterwork, carvings, and sumptuous silk embroideries. Relax on personal, colonnaded patios, swim in plunge pools, and marvel at the exotic Andalucian and Moorish elements within the compound. As it is owned by the royal family, service at the Royal Mansour is totally next level: You'll never see a bellhop, and fresh mint will miraculously appear before you knew you even wanted any. What's to Love: Imagine the Chateau Marmont relocated to a small medieval Moroccan town with camels wandering the beach and sea spray sweetening the evening breeze. The nearby dock is the essential destination for al fresco lunches. What's to Love: Palatial villas, white sand beaches, crystal clear water, just-caught seafood. You are completely disconnected from the world in the best possible sense. The diving — in some still uncharted reefs — is incredible. What's to Love: A blissfully secluded guesthouse perched on a sea cliff. It is so private that staff departs every evening to leave you to your own devices. Take a dip in the heated saltwater pool or stargaze on a chaise with a digestif from the honesty bar. Head down to the Camps Bay strip for beachfront breakfast, lunch, or dinner. For a breath of fresh air, stroll the nearby Table Mountain natural reserve. What's to Love: The home-away-from-home feeling wrapped up in a stately, manicured Cape Edwardian mansion. Considered to have the most spectacular view in Cape Town, overlooking the Atlantic, yet only ten minutes from the action of the city. What's to Love: Amazing meals and walking safaris in the bush. Rooms with soaring ceilings, canopy beds, fireplaces, and cozy outdoor showers. Traveling with another couple? Book The Royal suite for the private chef and massage therapist. What's to Love:Fifteen suites with private outdoor showers overlookng the N'wanetsi River, fireplaces, sweeping decks, and expansive views. Private tours, chefs, and butlers are at your service. No children younger than ten are allowed. What's to Love: Nestled at the foot of the Korannaberg Mountains, subtly luxurious lodgings and top-knotch guides come together to perfectly redefine "safari." Get flown in on their luxurious Pilatus plane from Johannesburg airport. Stay in one of the eight spacious legae, little houses, with outdoor showers and big open fireplaces. It's intimate, only twenty guests stay at a time. What's to Love: It's tribal meets luxury with rich, velvety curtains, a heated bed, French crystal glasses (for a fireside glass of sherry, and a view of the crater that would make even the most heartless brute weep. After a day on safari, you'll come home to a rose-petal strewn hot bath and chilled champagne. Is there any better prequel to a romantic romp? What's to Love: Romance is a cocktail of ambiance, privacy, and comfort, made even better in a dramatic setting far away from everyday life. The hotel feels like something out of Architectural Digest, set against the soothing sounds of an Arugusinyai River rushing below and the lions roaring in the midnight bush. What's to Love: An ordinary room this is not. You may recognize the twenty-room, five-cavern hotel located in a Berber settlement (which by some accounts was founded in 146 B.C.E.) as Luke Skywalker's childhood home on Tatooine from Star Wars. There is no dark side: It's only $16 per night. What's to Love: Eight thatched-roof bandas with picture-perfect jungle views from broad verandas, and the chance to spend your morning flirting with mountain gorillas. Bring a bathing suit for the lodge's private swimming hole. And hiking boots, long pants, rain gear, and gloves for the gorilla treks. Save the massage for after your hike with 500-pound apes amid the slopes' tangled vines. What's to Love: A super chic blend of creature comforts — Neil Rocher-designed architecture, designer furniture, a private chef — surrounded by vast savannah wilderness. With some of the healthiest populations of elephants, giraffes, and hippos on the planet, South Luangwa is one of the wildest (and most remote) corners on earth. An excellent way to ease into a Zambian adventure. What's to Love: Five open-sided thatched cottages on a private island on the Zambezi River. Take an alfresco bubble bath in an antique claw-foot tub. Enjoy the flickering candle light of antique lanterns. Wake up to hippos bellowing in the water. Request Trega, the best personal butler you'll ever know. You can combine a stay on this island with one on the , a short boat ride away. Read More on Gentedimontagna: Our very own Zambiana Jones takes the trip of a lifetime. What's to Love: Six distinct bushcamps are set up in the remote south of the park, where wildlife experiences are out-of-this-world. The resort also supports two local schools and runs eco initiatives (tree-planting, solar cookers, honey production). Good to Know: Go in November when resident elephant families near Mfuwe Lodge are on the search for succulent wild fruit. One particular wily old matriarch (named Wonky Tusk) takes the most direct route to the mango trees, which means walking through the reception lounge. What's to Love: A private island resort with ten very stylish free-standing bandas, outdoor living rooms, fantastic food, and world-class snorkeling. You can be active or do nothing. 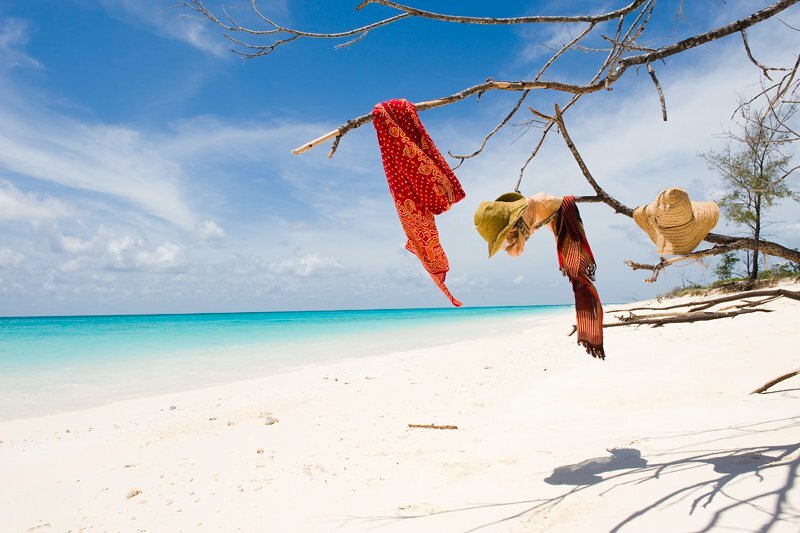 How else to know how Robinson Crusoe would have felt as a Zanzibari sultan? Good to Know: There are no real roads, phones, or TVs (though there is wifi). You will be barefoot all the time. You will hear doves along with rare (and tiny!) Suni antelope. Bring ear plugs if you are a light sleeper — those doves melodically coo all day and night. Contributors: Josh Abramson, Erinn Bucklan, Larry Burnett, Kym Canter, Caryl Chinn, Ondine Cohane, Sonya De Castelbajac, Melanie Dunea, Erin Hartigan, Rachel Kahlon, Devorah Klein Lev-Tov, Lanee Lee, Kelley McMillan, Christina Ohly, James Sturz, Rima Suqi, James Truman, Jess Teutonico.